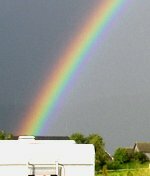 Alkyd paint is usually an oil based paint, but now a water-born emulsion paint was developed based on soy alkyds - low on VOC, waterbased and very sustainable. Oil-based paints have been banned, but polyurethane-alkyds are still available. They're expensive, but their performance is outstanding. Scroll down for more. Alkyd resins were invented in the 1960's, they're made of soy oil. They make paint dry fast, artists mix it through their oil paint. 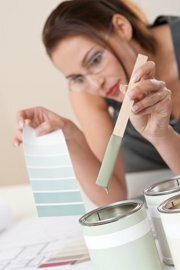 They were also added to oil-based house paints and polyurethane paints, for fast drying. 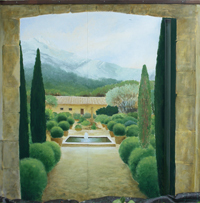 And recently, a waterbased alkyd paint was developed as well (scroll down to "waterbased soy alkyd paint). 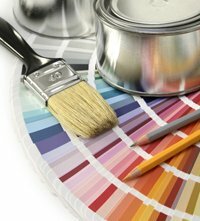 Oil-based paints are more or less banned, but polyurethane-alkyds are still available. They're some of the strongest paints around, good for outdoor woodwork, and indoor high-traffic wooden floors. I've used Rubbol by Sikkens. With the right preparations, this paint still looks fresh after five years of being on exterior outside woodwork, while others would look bad after only two years. They're expensive, smelly and highly chemical - but no other paint performs that well, in terms of being resistent to tear and wear. For wooden floors, it's still the best option. This is a new thing: water-based soy-alkyd paint (Dura-soy). Dura-soy is the most eco-friendly paint: not only low on VOC, but also made of a clean and easily renewable resource (soy beans). Also the pigments were chosen on sustainability. It's an emulsion (water and oil blended together), you clean it with water - still it's an oilbased paint. It's a thick paint, very high on solid particles. That means: great hiding power. You don't need to prime, and with a little effort (in making a thick paint film), you can prime, hide and finish in one single layer. 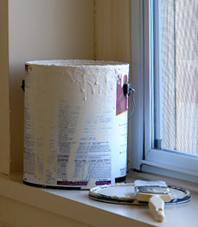 This paint is best for walls and interior woodwork, not for floors. Meant for contractor use, it's only available in 1 and 5 gallon cans (everyone can order it though). It creates a film that is medium-strong. For extra strength (exterior use, heavy traffic) it can be made stronger by using a polyurethane finish. 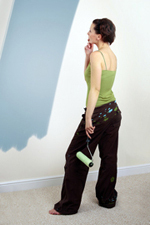 On this website, you'll find the product (top left, under 'non-toxic paint') and product info. Dura-soy can be painted over most surfaces. You need to clean and degrease, and glossy surfaces need to be sanded. Metal needs to be primed first (with a rust-blocker), and new woods are best treated with a tannine-blocker first. 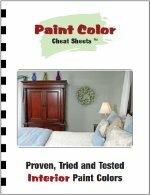 This prevents wood stains bleeding into the paint from within. Judging by its nature (being oil-based), I'd say shellac is probably the best material for priming or sealing before applying dura-soy. Shellac also blocks stains and primes metal. There are no real records of dura-soy's performance in time, because it's a new product - but considering all its pro's you might just give this product a shot. 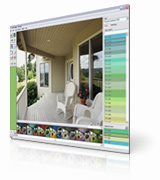 On this website you'll find technical specs of it. 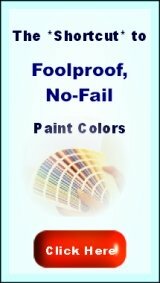 Look for non-toxic paint - durasoy-one - installation guide or durasy-one pds. 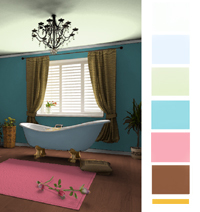 Here you can see the website of Green Tree Painting Design, a painting contractor who uses this paint. Dura-soy can be ordered in all colors of any brand, but untill now it comes in only one sheen (semi-flat). The sheen can be adjusted by applying a glossy transparant finish layer. The colors however are great: it can be ordered in any color of any paint brand (as long as you have the color name and number at hand). Changing the sheen to gloss or matte can be done by painting it over with a polyurethane clear finish - this will also make the paint stronger. There are two varieties: Dura-soy one and Dura-soy pro. The 'one' version is thicker (64% of solid particles), and it hides the best. Dura-soy pro is a little cheaper, and less high on solids (but still it has 58%). Use it if you paint over with the same color. Soon it will be available in smaller quantities as well. It's relatively simple to turn alkyd paints into a heat reflective paint - a powder-form additive that makes the paint a little matter, thicker and lighter, and that can make a substantial saving to your energy costs. When painted on exterior walls, it will keep the heat out, and when painted on interior walls and ceilings, it will keep the heat in. Click here for more on heat reflective paint.